We are the core of the modern enterprise. A strategic approach toward IT investments and operations ensures a resilient technology landscape that drives your business forward and in the right direction. Cosony, Inc., empowers your organization with the true knowledge and advisory framework to define problems, test ideas and suggest viable solutions to optimize your business processes. Cosony, Inc., can help your organization manage risks before they happen and turning challenges into opportunities. Is your company information protected and secure? Are you getting the response time your company requires? Are you with the right IT Company? Eliminate IT issues and Cybersecurity threats before they become expensive and cause downtime. Cosony, Inc., can manage your IT needs including graphic design, cyber security and support for your entire business or organization so you don’t have to. Take the headaches and stress out of trying to find your own solutions to IT issues. Since 1997 Cosony, Inc., gives you cost-effective access to enterprise level support. Our managed service options allow you to partner with us to take IT Management off your hands. Cosony, Inc., makes it possible to have a single managed service provider that can handle your IT infrastructure. For total IT Management, put Cosony, Inc., to work and get back to business. With our A+ 15 minutes’ average response time, you can assure your business is in good hands. Your business hires us to manage all your IT operations for one fixed monthly rate based on the number of computers/users so you can focus on running your business not fixing issues. That means no surprises or hidden costs. We get it: Running a business isn’t easy. We believe that small businesses should get excellent IT support despite smaller IT budgets. We proactively discover and fix problems before they can negatively impact your business. We monitor your network 24/7. That includes any cyber threat, viruses, hackers, spyware, and even employee’s activities. You also won’t have to deal with unexpected IT charges. We keep IT costs stable and predictable. With detail tuned up computers you get fewer error messages and practically zero downtime. This is exactly what we deliver. Computers and servers always degrade in performance over time, causing slow down, hang up, and crashes. Under Cosony’s supervision this plan we’ll make sure your network receives the critical maintenance it needs for maximum speed, performance, and reliability. Your business focuses on growing without being worry about the technology, and/or tech vendors. Cosony will take care of your systems and hardware suppliers including phone and Internet providers. We manage all the contacting, procuring, on-boarding, so you don’t have to lose time. We also provide you with the best, most strategic advice regarding how technology can affect your bottom line. Just like your best division heads do, we conduct twice a year company technology review where you receive a thorough status report, recommendations for planning and budgeting purposes, advice on vendor management and procurement, and other executive-level decisions. 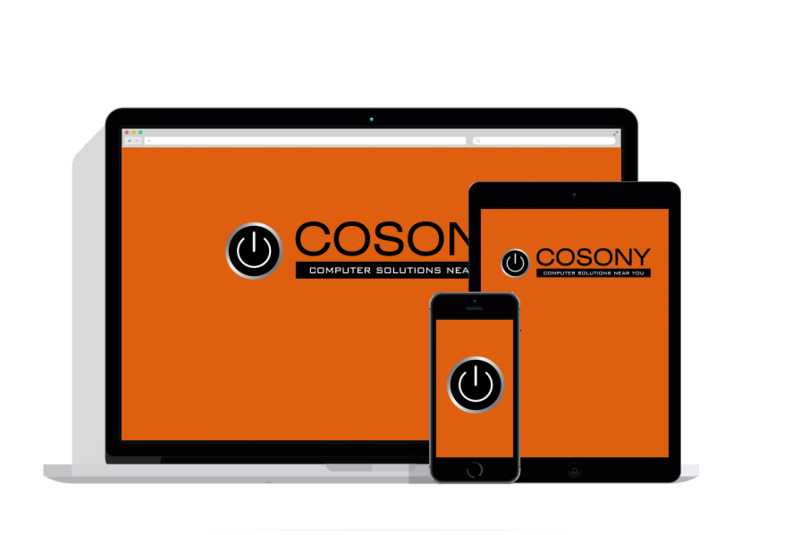 With Cosony services your company we’ll feel you have your own full of experts’ IT Department on site and always handy at a very affordable costs. Cosony, Inc., is a Cyber Security leader providing cutting-edge services across the VA, MD and DC area. We deliver business/cyber solutions that integrate seamlessly into business processes and metrics. Our solutions manage risk, optimize security resource allocations, and thereby assure the confidentiality, integrity, and availability of business processes and information. As technology becomes ever more advanced, higher risk flood the Internet and companies find it much harder to obtain and understand the information necessary to protect themselves. All organizations depend on digital processes, data and systems. This makes them increasingly vulnerable to being manipulated. 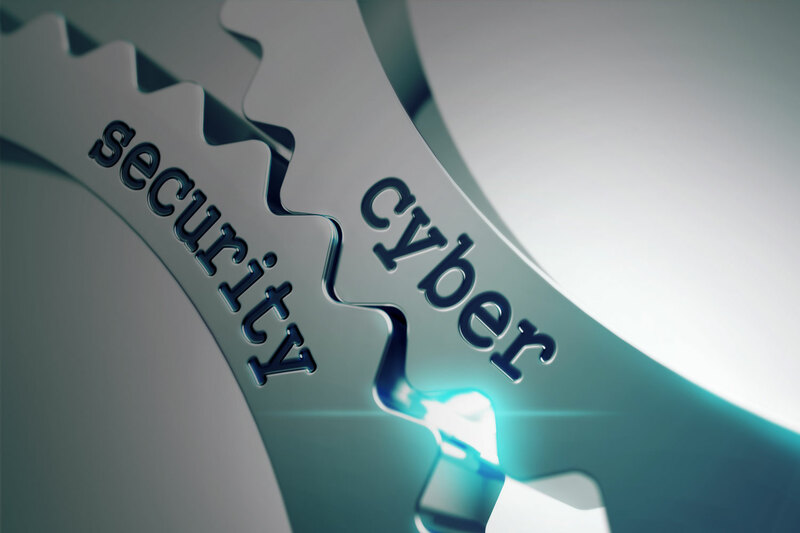 Cyber security is about ensuring your business is resilient to that manipulation to prevent fraud, theft of sensitive data or business disruption, and the severe risks to reputation that comes with that. The term cloud is a metaphor for the Internet. In fact, many of us take advantage of the cloud every day without realizing it, such as checking our email or uploading an image to a social media website among many other activities. At Cosony, Inc. we know interconnections define cloud performance and efficiency. Fast, reliable, direct connections to global networks, key customers, and business partners shape your end-users’ quality of experience. They also affect your operating costs and the flexibility and resiliency of your cloud business. 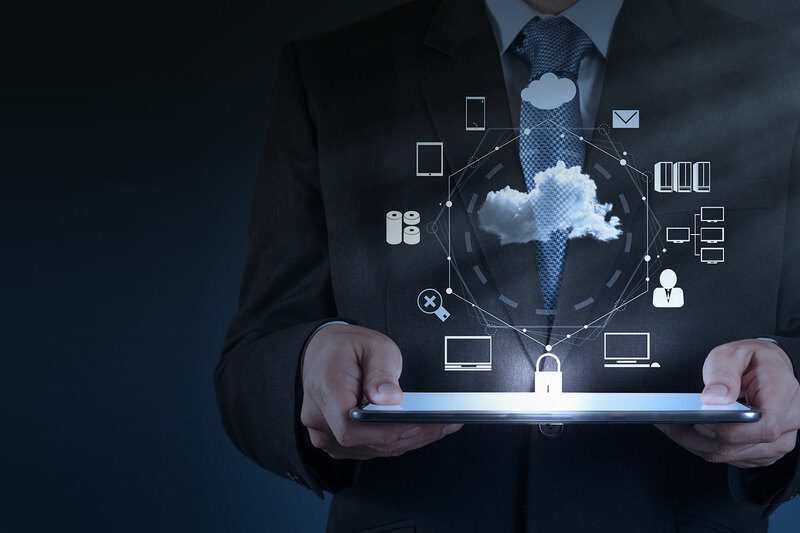 We connect cloud service providers with our customer for their networks communications at a high level of performance that differentiates your services and put you on the fast track to cloud revenue. WHY DOES THE CLOUD MATTERS? Cloud computing offers businesses of all sizes the opportunity to reduce overhead costs while maintaining reliable and cutting-edge technology systems, such as server hosting, web hosting, data backup, file storage, and many other online services. The cloud allows you to access your business applications and data from anywhere. And it’s no longer confined to a hard drive on a single user’s computer or even on a corporation’s internal network of servers. The cloud reduces the need for advanced hardware, lowering the associated costs. Now you can have company-wide access to computer applications, instead of buying sets of software or software licenses for each employee. You don’t have to spend a fortune on individual computer when you can virtualize powerful environments. 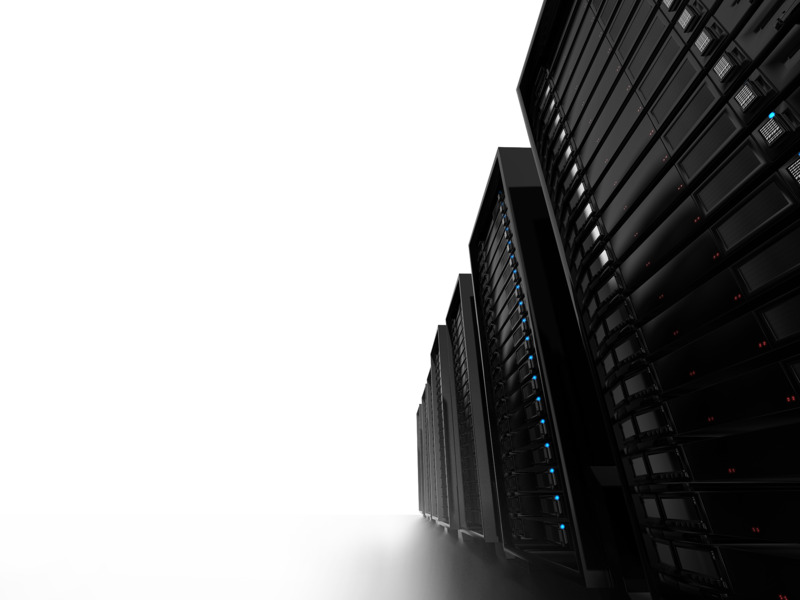 Hosting, servers, digital storage and the accompanying devices take up a lot of space. In today’s world you have the option of storing data with cloud solutions, which eliminates the need for physical storage space. Businesses are continuously being challenged with protecting critical applications, data, and servers against various causes of loss and downtime. How well can your organization deal with an emergency? The best way to avoid data loss is to set up hardware and software that keeps your data safe. This means utilizing secure servers and setting up network security programs like a firewall, antivirus software, and encryption to protect data from breach situations. Creating a backup policy is one of the more important things you can do for your data security plan. Optimized backup policies and procedures will save your organization time and money by bringing backup and recoverability in line with actual requirements. They will also ensure a smooth recovery process in the event of a hard drive failure, virus attack, cyber-attack or natural disaster. 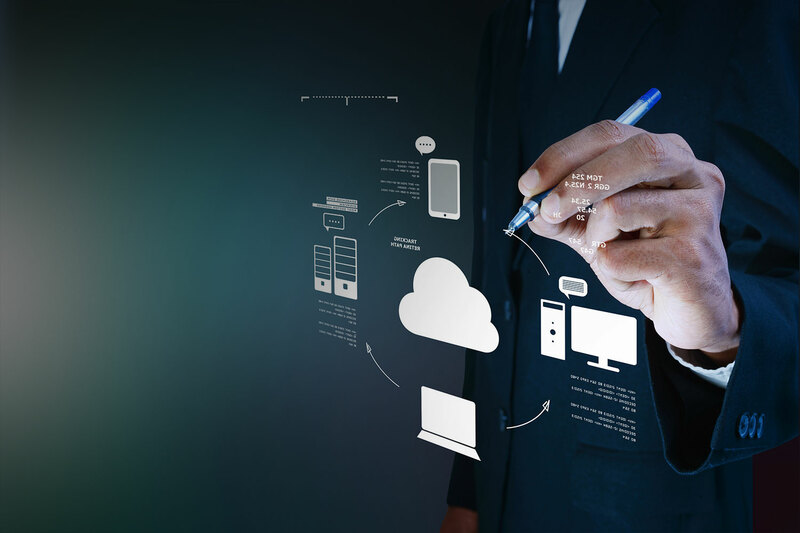 Developing a solid backup plan requires an investment of time and money, but the cost is far less than the burdensome task of recreating data for which no backup exists. Cosony, Inc., can implement the best scenario with your current resources. Virtualization technology is one of those rare technologies. 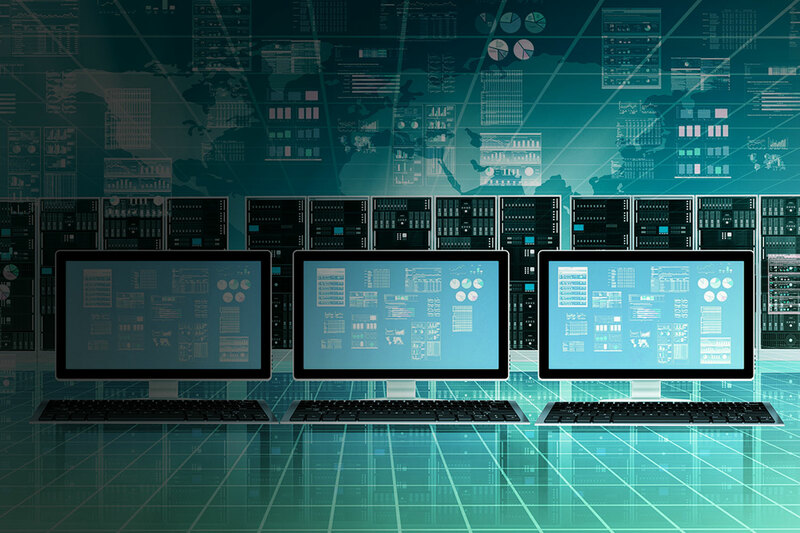 Virtualization offers easily measurable financial and operational benefits by consolidating both server and desktop environments, reducing asset counts, reducing operational costs, reducing licensing cost, reducing power consumption, reducing floor and rack space consumption, and extending useful life of expensive capital assets. Cosony, Inc., Virtualization practices are designed to allow clients to implement a continuum of virtualization technologies to enable reduction of costs and streamline IT architecture to prepare for adoption of technologies such as the Cloud to reduce IT cost, focus the client’s organization on their key business issues and address sustainability. Cosony’s Inc., skilled professionals listen to your needs, providing clarity into the technologies available and providing the best possible solution to meet the business needs. We take the time to understand your business and we assess your systems and data environment to properly design, implement and test a solution that delivers quality assurance and performance at a reduced fixed and convenient cost based on computers and servers. Beyond the potentially dramatic cost savings, virtualization can greatly enhance an organization’s business agility. Most server virtualization platforms now offer a number of advanced features that just aren’t found on physical servers, which helps with business continuity and increased uptime. Virtualization offers an organization crucial components when it comes to building out a disaster recovery solution. Virtualization in the application layer isolates software programs from the hardware and the OS, essentially encapsulating them as independent, moveable objects that can be relocated without disturbing other systems. Application virtualization technologies minimize app-related alterations to the OS, and mitigate compatibility challenges with other programs. 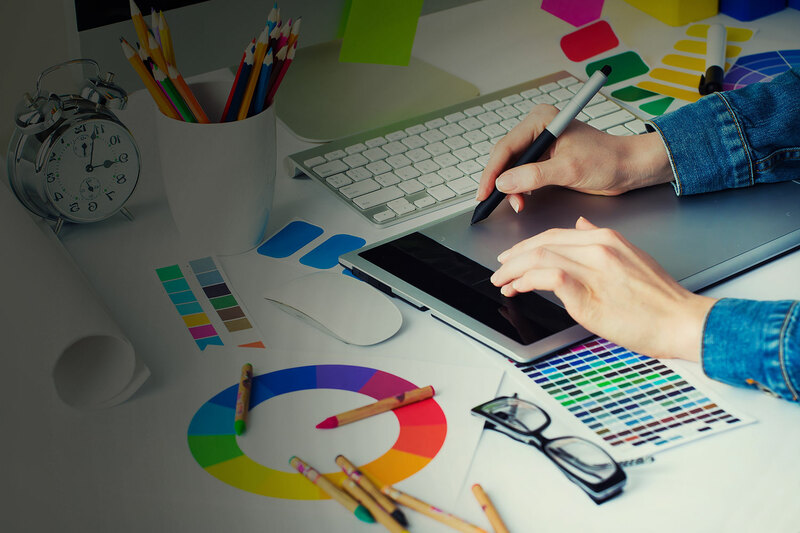 Cosony, Inc., Design Department is composed of some creative specialized graphic designers, web designers ready to help on your ideas, current designs and branding. Our highly focused and goal oriented team works one-on-one with a portfolio of clients all over the VA, MD and DC area. We are proud to take a highly collaborative approach offering targeted creative capabilities across the industry. Designing and developing websites and experience-driven user-interfaces is our primary focus. We offer uncompromised, end-to-end web and app design solutions for individuals, small businesses, start-ups and some of the biggest players in the area. We find great joy in creating that perfect look for your business to establish brand recognition. 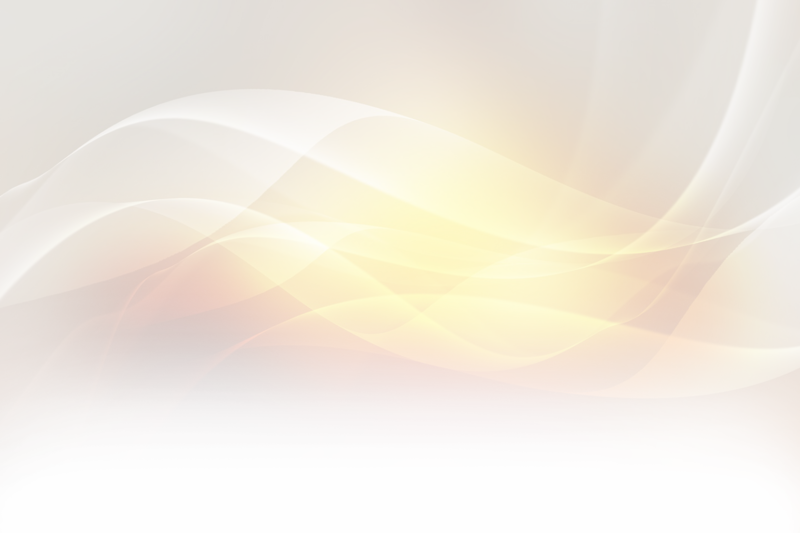 We put our hearts and souls into our graphic design concepts so you can earn the loyalty of your customers. Databases are the most significant element for any business application. It is the nucleus around which revolves the entire software application orbit. Hence, database management services are a vital service area as it maintains the critical data repository, for an organization. Databases can work locally or over the cloud and can be accessed from computers or mobile devices to share any kind of information. A database can reduce lots of complexity in a business, time and makes it easier to share and organize information to make better company decisions. Cosony, Inc., has enriched experience in providing Database Services to various customers across different industry verticals. We leverage our expertise in offering services in heterogeneous databases which cover the entire spectrum of any organization’s database requirements. And we continuously optimize them to achieve the efficiency and cost electiveness for your organization. Internet based apps are programs that are built to run on Internet browsers and mobile devices and can communicate with database servers on the cloud or local networks. Many companies are starting to migrate from the old fashioned desktop database applications to web based Internet database apps in different languages and formats. Having a Web based app with user security and account control you can decide and track who has access to which part of the information on your company so you are in control. Everybody knows the importance of going directly to where your customers are and although the app revolution only started a few years ago, this form of marketing is growing fast with no signs of slowing down. Whether you need to manage customer data, Excel spreadsheets, organize your inventory information, keep track of your business directory, or simply share data thought he company Cosony, Inc. can build the perfect custom match app to the way you work. In your business, you have your own specific data to work with so it is always a good idea to build your own personalized mobile app. Cosony, Inc., understands that when our customers are purchasing IT solutions, they’re also investing in their business.We provide support 24 hours a day, 7 days a week. 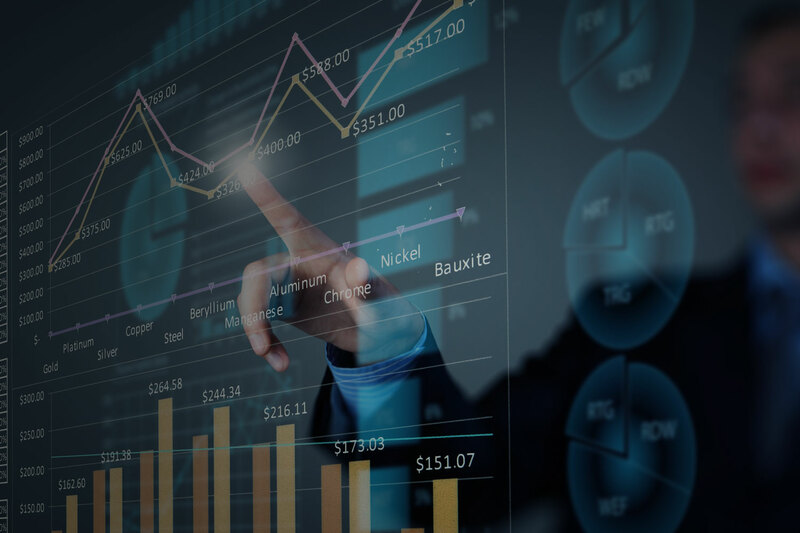 We are an end-to-end IT Solution Provider, with the top notch services and support that customers have come to expect when they’re making an IT investment. Our customers know that whatever their IT needs, Cosony, Inc., has both the business experience and technical resources necessary to respond to any support challenge. With Cosony, Inc., our live support technicians are always here to address your needs, our turn-around time when helping another customer is on average 10 minute. response time. We can assure your business is protected and in good hands. Endpoint Security: Firewall for secure data and intrusion detection; virus protection; email spam protection. We take care of any issues with viruses, spam or security even before they hit your computers. Back up and Disaster Recovery: Your lost or corrupted data restored with a click of the mouse. Monitoring: 24/7 we monitoring your network. We take care of issues before they become a problem. Maintenance: Weekly, monthly, and quarterly maintenance on servers, networks and workstations and your website. 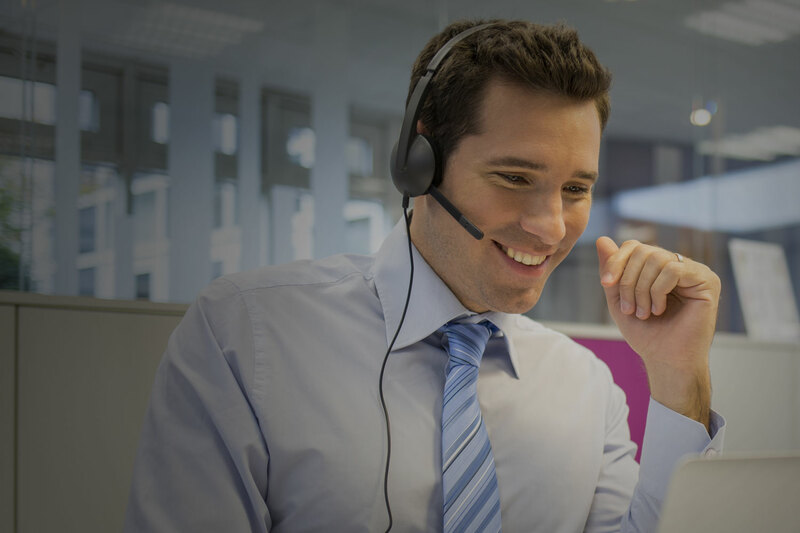 Support: Onsite and Remote help desk when you need it. Asset Management: We keep track of inventory, devices, serial numbers and warranties. Monthly Reports: Reports keep you informed about your network and devices. Technology Reviews: In-person reviews keep us working together to meet your IT needs. We are not just a marketing agency; we are an ally that works hard to make a visible spot in the market for your business.